These days, we wish each other a happy birthday many different ways. Often times, it doesn't even involve a phone call. 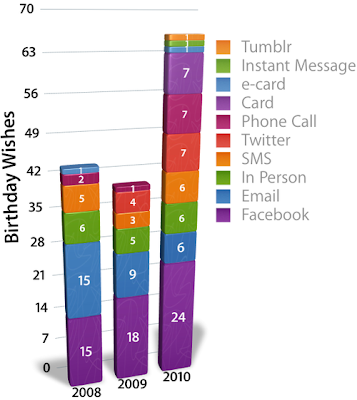 My buddy Alex Bain put up a fascinating graphic on how many times he was wished happy birthday per medium. Cool stuff.